to which indeed you were called in one body." 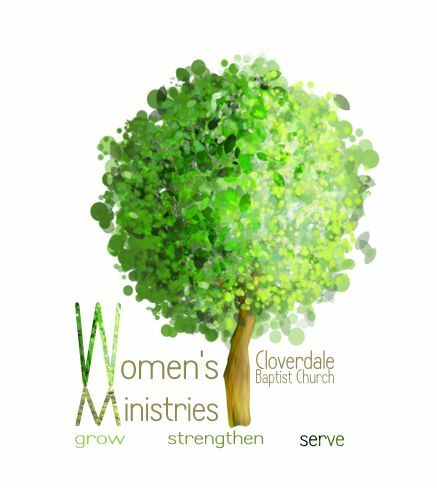 "Let the word of Christ dwell in you richly, teaching and admonishing one another in all wisdom..."
It is our privilege to provide the women of Cloverdale Baptist Church the opportunities to grow in their knowledge of Christ and into a deeper, more intimate relationship with Him! Our desire is to see each woman grow in her personal relationship with Christ through the diligent study of His word and through an active and vibrant prayer life. Throughout the year, there are a number of women's events intended to give the women of CBC the opportunity to build and strengthen their relationships with other women! These events are wonderful occasions for women to connect with one another for fun, fellowship, friendship, encouragement, support and accountability. God's Word directs us to use our gifts to serve one another! Our longing is to see every woman using her God given gifts and talents "for good works, which God prepared beforehand, that we should walk in them." (Ephesians 2:10) It is our hope to provide women with different outlets to serve one another and in doing so, build up the body of Christ.